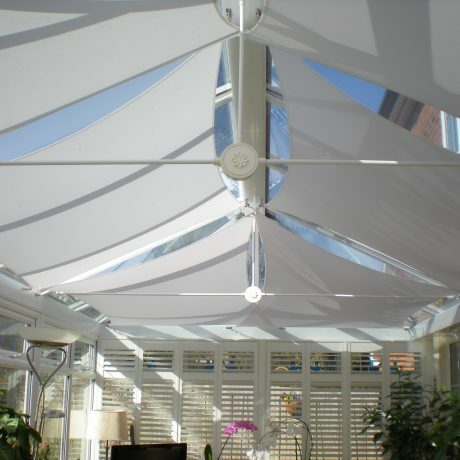 Conservatory sails reflect more than 70% of the sun’s heat to keep your room cooler. The energy efficient fabric has a special construction to reflect the sun’s heat on hot sunny days while transmitting large amounts of soft natural diffused light to keep your room light and bright even on a dull day. 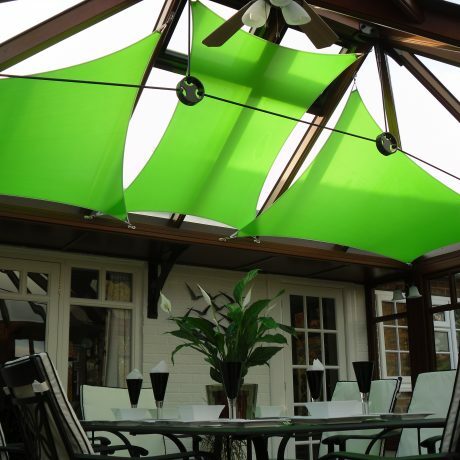 The sails sit naturally below the roof frame to maximise the effect of the natural or mechanical ventilation in your conservatory and working together they can maintain comfortable temperatures even on the hottest summer days. 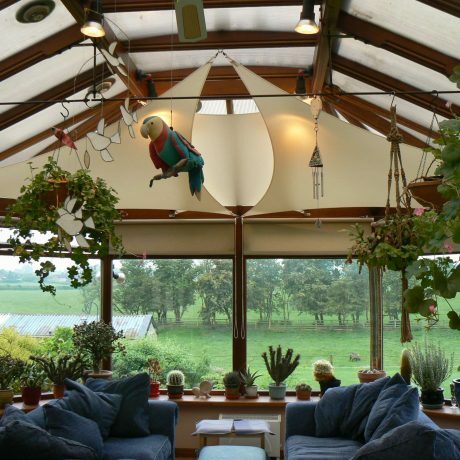 Our UK made sails have been designed to ensure you can enjoy your conservatory all year round. 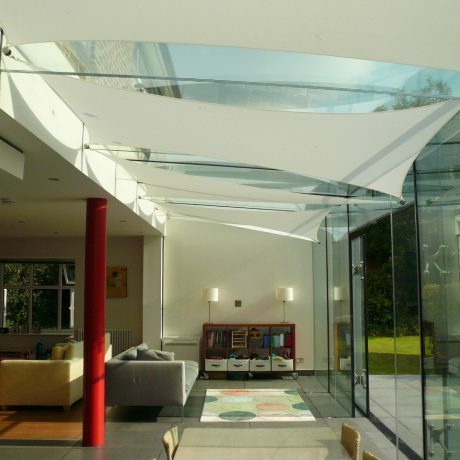 Complementing both traditional and modern tastes, our elegant sails provide an effective and stylish solution to both heat gain and glare. 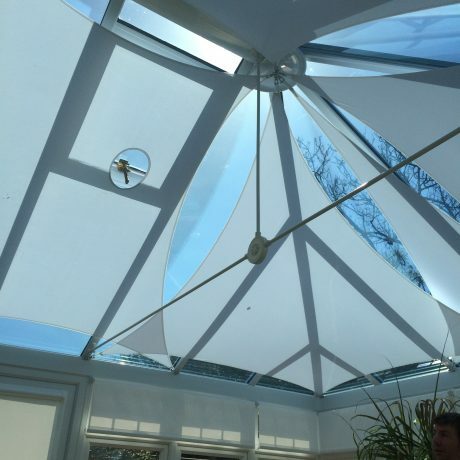 With curved edges, fine detailing and light diffusion, our sails create a light, unobtrusive shading solution. The sails can be used individually or in groups, with the positioning of the sails depending solely on your taste and requirement. Introducing spaces between sails maintains the feeling of openness and creates small shafts of light within your room. 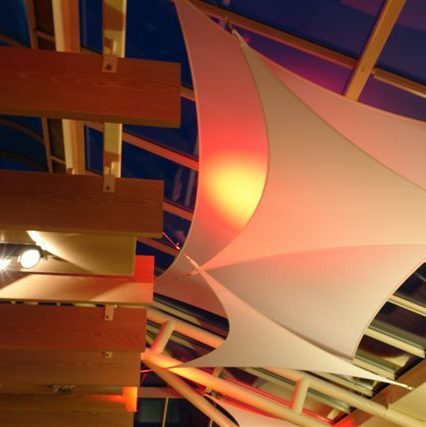 Fully machine washable and fire retardant for life, our sails are simple to maintain and will transform your space with sculptural form, light and colour.